Buying a property can be a sometimes scary and stressful exercise, especially if you are listening to those around you who have little or no expertise in the area. We often hear about poor property choices, after the event. No one purposely intends to purchase a property lemon, however we do hear about it from time to time. It is particularly important to engage with property buying experts in a changing market, or in a market where you are unfamiliar. That’s why we offer the Provincial Group expertise, experience and research data to assist you to purchase your next property and reduce your risks along the way. What should I look for when buying a home/investment property? How do I buy at auctions? Should I buy before auction or at auction? What is the best approach for buying at private sales? How can I find out what a property I am interested in is worth? Are there any government grants or incentives I can apply for? What type of property loans should I consider? How much are all the associated costs with buying? And of course you will have even more questions, so allow the Provincial Group to assist in minimising the exasperation of dealing with the many and varied aspects of buying in the current property market. Even if you have the time to look for the right property, we can still be of assistance to you. Have other potential buyers shown interest? How does the agent’s quoted price range compare to the likely expected sale price? Has there been any prior offer made on the property? What additional information do I need to be aware of as a buyer? After meeting and understanding your purchasing requirements, your Provincial team will be off and running to find you your perfect home or investment property. Understand your goals, boundaries and objectives. What options do you have in the current market? 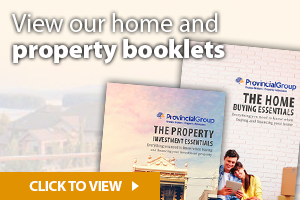 legal, accounting / tax, building and construction advice, independent property valuer, etc. Coordinate the required funds to purchase – from initial deposits to settlement (Bridging finance). Buying the right property may sound easy, however if you are not doing this day to day, you may not be aware of the current market place, projected growth or decline in your area of choice, local infrastructure and commitments and other factors that may affect your best purchase price. As you work with our team of property and finance professionals you will learn a lot about buying a property that you may never have experienced before. Even our biggest investors still rely on our expertise of daily and local knowledge to ensure a great return on their investment. So we always commence with a property and marketing update while coaching you in locating and identifying your potential new property. Providing initial advice and data around properties that you like. Step 4 – Do the work! Communicating with agents on your behalf. Presenting offers, deposit and settlement date (Auction and Private sale). Help you with services required for your move. Now that’s a big list. Your Provincial Buyer Advocacy fee is offered at a fixed price plus GST. We discuss this with you in our exploration session. It will depend on a range of factors so we customise the fee according to each project. As a general guide our fees are circa 1% of the expected purchase price but we then agree and lock the fee to a set amount before the service begins. Naturally fees may vary up or down pending your specific requirements and needs. You only pay our fee upon a successful purchase being made.